1816 – 61st Street N.E. Since 1999, AmeriSpec of Calgary Northeast has provided home buyers, home sellers and real estate professionals with quality pre- and post-home inspections as well as valuable energy evaluations in the local areas of: Calgary, Airdrie, Strathmore, Cochrane, Okotoks, Olds, Chestermere, Beiseker, Irricana, Black Diamond, Turner Valley, Crossfield, Carstairs, Langdon, Madden and Didsbury. Our home inspectors meet and exceed the standards of practice that are set forth by CAHPI, NACHI, and ASHI. Being licensed with Service Alberta ensures we provide the peace of mind people have come to expect from Canada’s Leading Home Inspection Company. Protect your investment. When you’re looking into buying a home, it’s important to make sure you find a home inspector who can deliver the timeliest, most accurate and professional results in the business. Additionally, a Pre-Delivery or Pre-Purchase inspection should be completed before moving into the home or within 11 months of moving into your newly built home. This inspection will ensure work has been completed to the expected standard and will ensure any problems are recognized and resolved. A professional home inspection will, along with your realtor’s advice, provide the information required to make a good decision on the purchase of your home or property. AmeriSpec of Calgary Northeast is happy to provide you with The Home Improvement & Repair Cost Guide that you can use when upgrading or renovating your home. A pre-listing inspection helps sellers discover the value in their home’s strengths, while having ample time to fix its weaknesses. So, by the time you’re ready to sell, your home will be in tip-top shape and may even have an increased resale value. An AmeriSpec home inspection will not only provide important details about a home’s condition, but it will also ensure both you and your clients will benefit from a more efficient transaction. 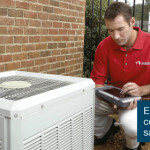 An AmeriSpec home inspection offers several advantages to real estate professionals. AmeriSpec Home Inspection Service of Calgary Northeast is a proud franchisee of the AmeriSpec of Canada family, offering the AmeriSpec Home Inspection – a visual inspection of over 400 items including the foundation, roof, and structural components, plus visible electrical, plumbing and mechanical operating systems of the property. Our job as a home inspector is to help the clients ensure they are buying a house they are prepared for. When most clients look at houses they do not look at the fine details they have areas in which their needs to meet. Our inspectors are trained to find defects in houses which could help the clients make a better decision on whether they would like to buy the house. A home inspection for your clients is the only way to keep yourself safe as well. 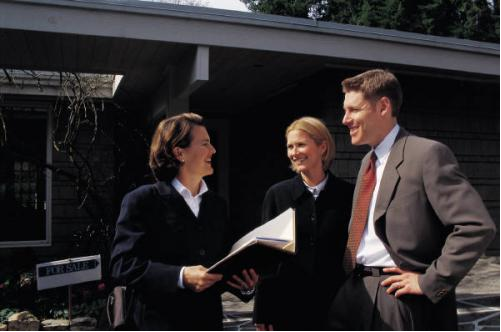 The right home inspection helps the clients by giving them the proper information to make informed choices. The wrong home inspection can lead clients into a house they are not ready for and could cost them money. AmeriSpec of Calgary NE is here to give your clients the home inspections that they require to make sound judgements. Our home inspection reports are a visual examination of over 400+ items in the house. The report will include such items as the roof, exterior, foundation, plumbing, electrical, heating, structure, attic and the interior portions of the house. Along with the home inspection photos are provided in the report to ensure you as the client can be sure of what the home inspector is referring too. The photos cannot take the place of seeing first hand so we encourage all our clients to be present at the home inspection. You can learn a great deal from a home inspector. Whether this is your first house or you have owned many there is always something to learn. We proudly service the following areas: Calgary, Airdrie, Strathmore, Cochrane, Okotoks, Olds, Chestermere, Beiseker, Irricana, Black Diamond, Turner Valley, Crossfield, Carstairs, Langdon, Madden and Didsbury. The AmeriSpec Report™, the home inspection industry's gold standard – features a comprehensive evaluation of the home, a Seasonal Maintenance Checklist, and access to exclusive offers from our valued partners, such as The Brick, AMJ Campbell,and Aeromove. AmeriSpec Home Inspection Service of Calgary Northeast is a locally owned and operated business providing home inspections, energy evaluations and more to the following areas: Calgary, Airdrie, Strathmore, Cochrane, Okotoks, Olds, Chestermere, Beiseker, Irricana, Black Diamond, Turner Valley, Crossfield, Carstairs, Langdon, Madden, Three Hills, Keoma, Didsbury, Trochu and Torrington. 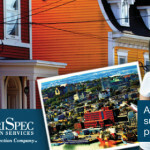 If you are looking for more information about AmeriSpec Home Inspection Services, please visit www.amerispec.ca. © Copyright AmeriSpec Home Inspection Service of Calgary Northeast home inspection website is courtesy of AmeriSpec Canada Inc., 2015. All rights reserved. The AmeriSpec Report is a written evaluation that provides detailed information about the condition of a property. Sign up today with your name and email address to keep in touch with AmeriSpec of Calgary Northeast. 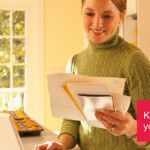 By joining our mailing list, you will receive valuable home inspection news, advice from our experts and exclusive offers that can be redeemed towards a home inspection.